AMT wants to present our new product: AMT PowerEater PE-15 – is a passive reactive load box. This device lets you load your tube amplifier by a load equivalent, which is close by its electrical parameters to a real guitar cabinet speaker (impedance 8 Ohm). The output power of your amplifier can be as high as 15 Watts. 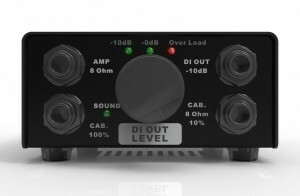 If you use PE-15 as a DI-box only with an external cabinet plugged into “CAB 100%” socket, the internal load is switched off and the output power of your amplifier can be as high as 150Watts. When the external guitar cabinet is plugged into “CAB 10%” socket, your amplifier is still be full loaded, but the cabinet will be getting 10% of amp’s power. 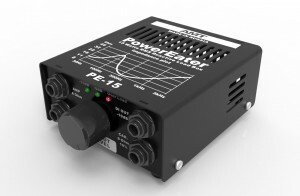 AMT Electronics представляет новый прибор AMT Power Eater PE-15 – пассивный реактивный LOAD BOX (эквивалент нагрузки). Устройство позволяет нагружать Ваш ламповый усилитель эквивалентом нагрузки, близким по своим электрическим параметрам к настоящему динамику реального гитарного кабинета, имеющему импеданс 8 Ом.